Millennials - Weak Wage Growth Coming? The December jobs report blew away expectations and provided fuel for the massive quick rally off the lows in late December. There’s no question that the labor market is strong because jobless claims are low and the previous two months were revised to show more jobs were created. The biggest worry is if this high rate of job creation is going to continue into 2019. I wouldn’t be surprised to see less jobs created. But I still think over 150,000 jobs will be created on average in the first half of 2019. Wage growth will likely slow in January after the monster December report. 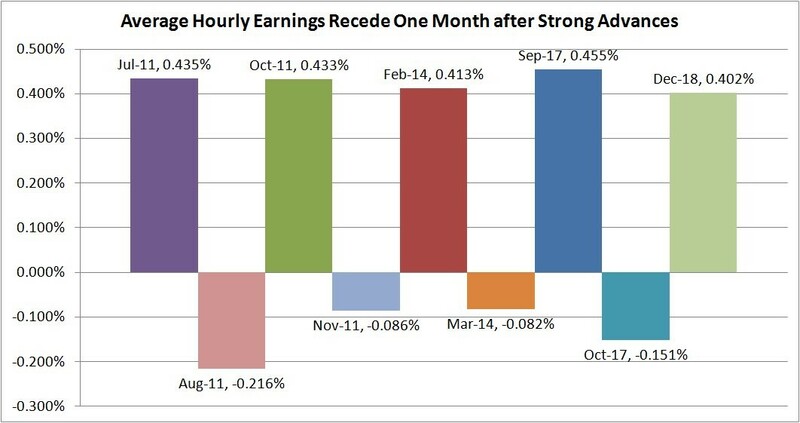 Average hourly earnings growth was 0.402% month over month which is the fastest growth rate since September 2017. As you can see from the chart below, since March 2010, only 4 months had faster hourly wage growth. Every single month following those high growth months had negative monthly growth. The only hope for positive growth is the December reading being negatively revised. In January 2018, year over year average hourly wage growth went from 2.66% to 2.77%. This means the comparisons will be slightly tougher. I wouldn’t be surprised to see a slight decline in year over year growth rate in January 2019. Demographics are important to review because they give you a broad based view of economic trends which you would miss if you’re only focused on microeconomics and individual companies. One of the biggest demographic trends is the decline of births in many developed countries. China faces this problem which is why it changed to a 2 child policy in 2016. Births are still down in China which is why some estimate that China’s population will peak in 8 years. Moving back to America, one of the most unfortunate trends is that millennials are living with their parents longer than ever. Obviously, there’s nothing wrong with this if it’s a choice. I say it’s unfortunate because for many it’s not a choice. High student loan debt and expensive housing make living with parents the only option for many millennials.